BMW's M line began 30 years ago when bodyguards who got 5 Series cars grew concerned that they couldn't keep up with the boss' 7 Series. The result was a 5 that got a bigger engine and the first M5 was born. 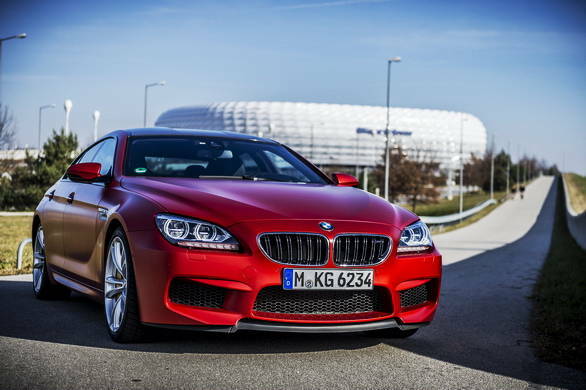 Thirty years later, BMW now has a new flagship for its M line in the M6 Gran Coupe. The car is going on sale in India in the first week of April this year and is expected to be priced at Rs 1 crore or just below. We drove the car in Germany to see what the new M flagship feels like. The M6 Gran Coupe matches the 6 Series coupe's fetching silhouette to the M5 powertrain to create a stunning looking car especially when wearing BMW's exquisite range of 'Frozen' tagged matte paints. On the outside, you get a sharp familiar nose wearing the striking twin-spoke new M kidney grille. We didn't get to see the actual standard wheels for the M6 that also use a twin-spoke theme because our car, like the M5, was wearing winter tyres. The roof is carbon fibre and the gleam of the clear-coated weave actually attracts a lots more attention than I was expecting. Mirroring the exterior pattern of the roof is the inside headliner which uses two leathers to create the same lines as the two grooves outside. Under the long hood lies the same 4.4-litre V8 that breathes through two twin-scroll turbos. That means, like the M5, this is a 560PS car. And if you opt for the Competition Package - our car did - you get 575PS. The gearbox is the new 7-speed M dual clutch automatic with shift paddles. 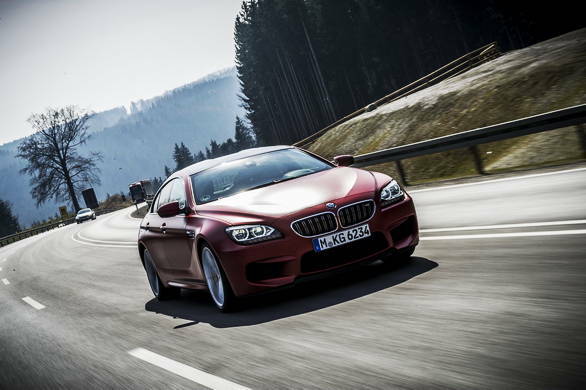 Like the M5, the M6GC also gets the same chassis package. As in the active rear differential, dynamic dampers, the new for 2014 stiffer stabilizer setup as well as all the various driving assistance systems. Inside, similarly you have the new M steering wheel with the two memory buttons that allow you to recall two sets of your favourite gearbox, steering and suspension setups instantly. 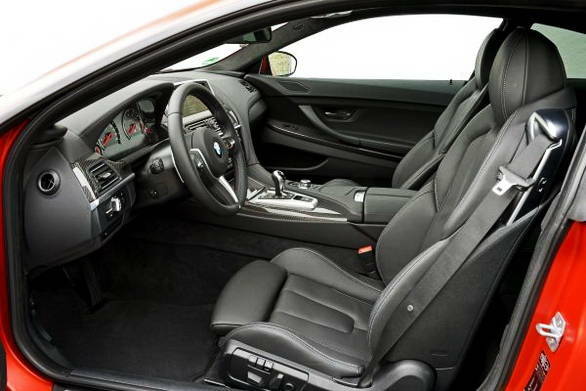 And of course, this being a coupe, there are four seats but the rear sets aren't as capacious as in the M5 sedan. They're best used in a pinch or for short durations. Given all the similarity in powertrain, you'd this the Gran Coupe was sort of like the M5 to drive. Well, it isn't. On the engine front, the M6 Gran Coupe felt more alert and more likely to descend into all the violence that 560-575PS promises. 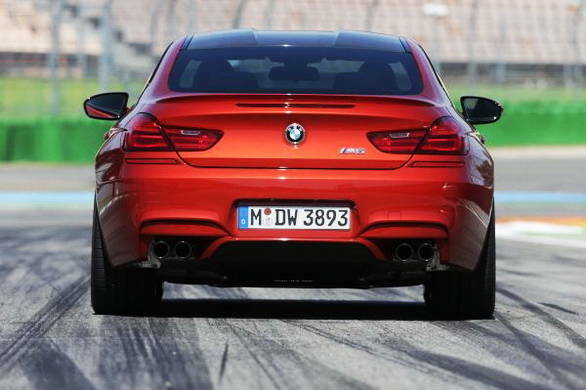 In fact, BMW say the M6 is actually a tenth of a second quicker to 100kmph than the M5. Floor the throttle and the gearbox shifts down instantly while the engine's note and ferocity change into something altogether a lot more angry. And then the you're off in a great big hurry. Switch traction control off and chances are you'll spin up the rear wheels irrespective of which gear you're in and how fast you're already going. The winter tyres aren't as grippy as the normal tyres and limited to 240kmph which made using all the performance available on our drive quite hard. On the other hand, the suspension isn't. Quite hard that is. When you out the Gran Coupe in comfort mode, it feels quite like the M5. The worst of the road is kept in abeyance though this is a German road - their worst is much better than ours. Move up into Sport Plus and the responses are immediately sharper, body roll around corners perceptibly less and the M6 sort of hunkers down and gets ready to go. 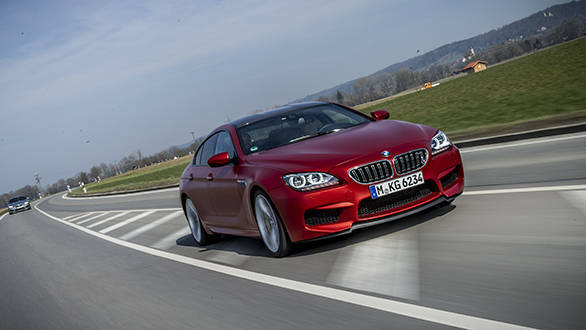 In short, the M6 Gran Coupe is a really fast coupe that shares quite a bit with the new M5. However, it feels more direct and more alert. When it launches here in the first week of April, it will also be a little more expensive than the M5. What you trade in will, clearly, be the practicality of the M5 which wills eat a whole three people way more cheerfully than the M6 Gran Coupe. Is this trade-off worth it? It's a personal question but the M6's looks and exclusivity will probably be a more compelling argument than the M5 in those circles, I think. Is the M6 Gran Coupe, then, BMW celebrating 30 years of M cars? M says no. There's a surprise coming!